What?! 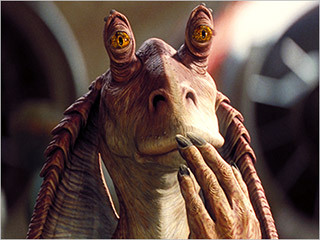 Yousa no liken mesa?!?! As the review for The Hobbit: An Unexpected Journey is underway, I find myself contemplating an interesting and potentially distressing dilemma. Peter Jackson and George Lucas are both titan sized icons in the realm of geek-dom. They both are responsible for a universe that has been embraced not only by those of us that ‘normies’ would call geeks, but has also been accepted, in varying degrees, by the popular culture of the normal folk. The creations of these two have ever been the ammunition for many a dispute between the con venturers and cosplayers alike. The argument of which trilogy is better (citing only the ‘Original’ Star Wars trilogy) is a point of contention for those to stubborn to live and let live and perhaps go so far as to coexist and co-habitate. Unfortunately we now reach a point in which these two legends of our world have more in common that some would like and something in common that no one really wants. With the promise of a Hobbit trilogy, good ole Pete Jackson now steps into the province of one George Lucas with a prequel trilogy. That’s right, I said it! Peter Jackson is pulling a G.L. with a prequel trilogy to the epic Rings saga. What does this mean?? Well for those of you NOT keeping score, these two have each provided a great and groundbreaking trilogy, accepted the world over, that has had a massive if not insane following. They both have gone back and made a few tweaks to their work (yes, Pete Jackson too with his extended versions of the Rings trilogy, which I actually prefer) and they have both gone back to the well to tell a little back story with a new set of films. Of course, many arguments can be made in defense of Pete Jackson’s move here. Yes, Jackson has great source material to draw from; but then if you look at what Lucas came up with on his own…pretty impressive. “But the first part of the Hobbit is already comparatively better than Phantom Menace!”, you say. Yes, this may be true; but as we do not yet know what the future holds, it is not certain that we won’t have an Attack Of The Clone/Hayden Christensen situation on our hands. Plus, there was that Radagast the Brown character…..just saying! Yea, I know. REAAALLL bad word play there!!! But it doesn’t matter, the one you’ve been waiting for is here and it delivers. 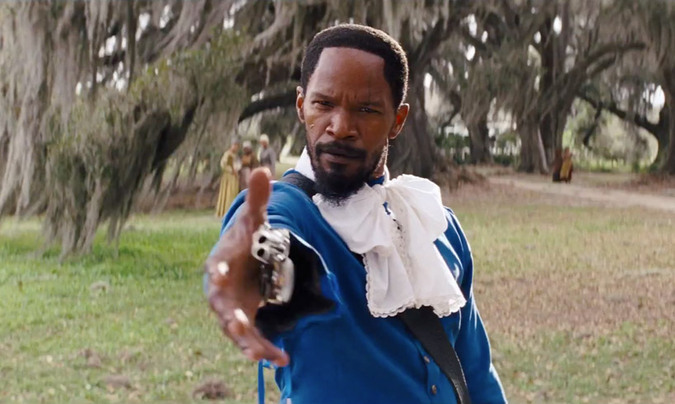 That’s right kids, Django Unchained is here and it’s every bit of the movie your mothers were warning you about. What does that mean?? Is it inappropriate? Will I be embarrassed to watch it with me mum?? Well let’s hope not, but that can only be if your mother is not some uptight stick in the mud, desperately trying to shield you from the horrors of the world; but let’s put it this way: if Les Miserables is too scandalous for the like of your mother dearest, then, yes of course, you shouldn’t see it with her. But by all means, rebel! Break free! Be like Django and then go see Django!! 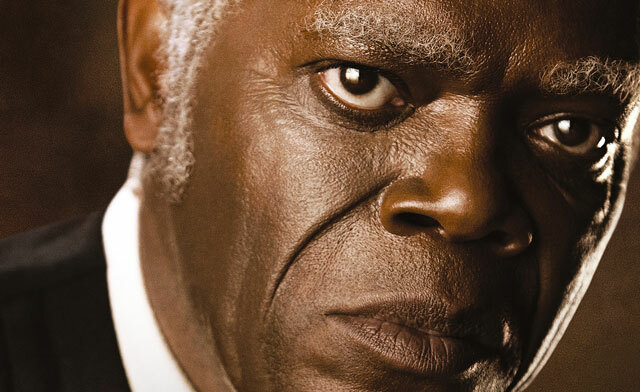 !…..just remember, before you go and feel all proud of yourself for finally standing up for yourself, Django endured the hardships of slavery and here you come finally busting out of your parents’ house and/or basement!! Yes, you read right. Just like that B.A. 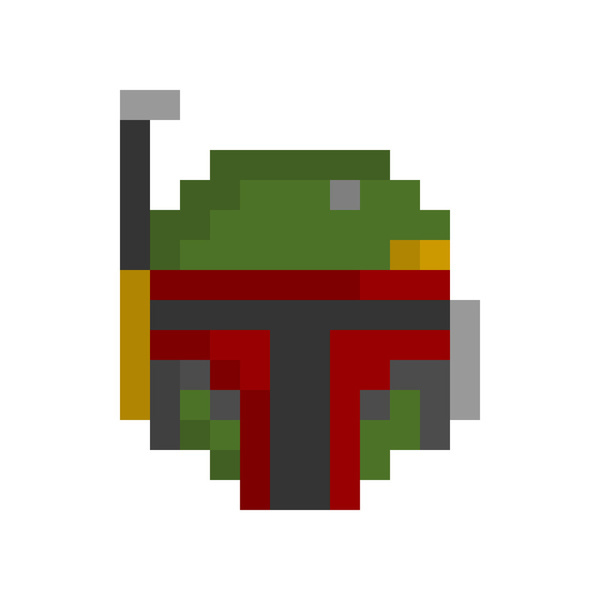 bounty hunter from that galaxy far, far away, you can’t keep the 8-bit down!! What does that have to do with the RAMAB, you say?? It means that we’ve got a brand new content up for you viewing/reading pleasure or displeasure. As the title and picture would suggest, this one has something to do with that good ole 8-bit format. Sadly no, we’re not bring you news that Hollywood has finally decided to make that Legend of Zelda live action movie you’ve been secretly pining for. Instead I humbly give you a somewhat late review of Disney Animation Studio’s dive into the world of classic arcade gaming, Wreck-It Ralph. So go read on and game on, and respect the return of retro! !